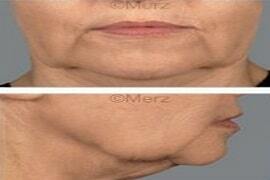 – The loss of definition to the facial oval and the appearance of jowls. 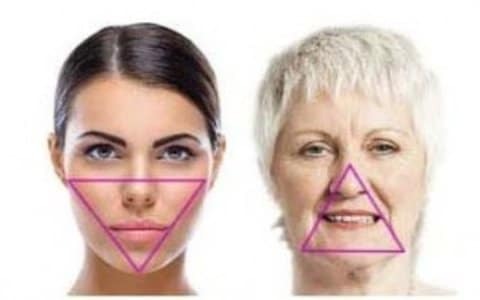 – The reversal of the facial triangle. 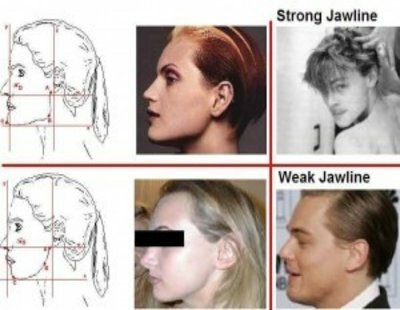 – Changes in the relationship between the key points of the jawline. 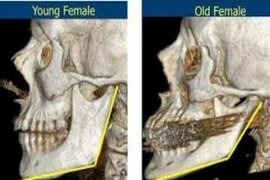 The angle of the jaw increases notably with age, which results in a loss of definition to the lower edge of this bone. The length and ‘height’ of the jaw is significantly reduced. Aggravated by the loss of jawbone support. 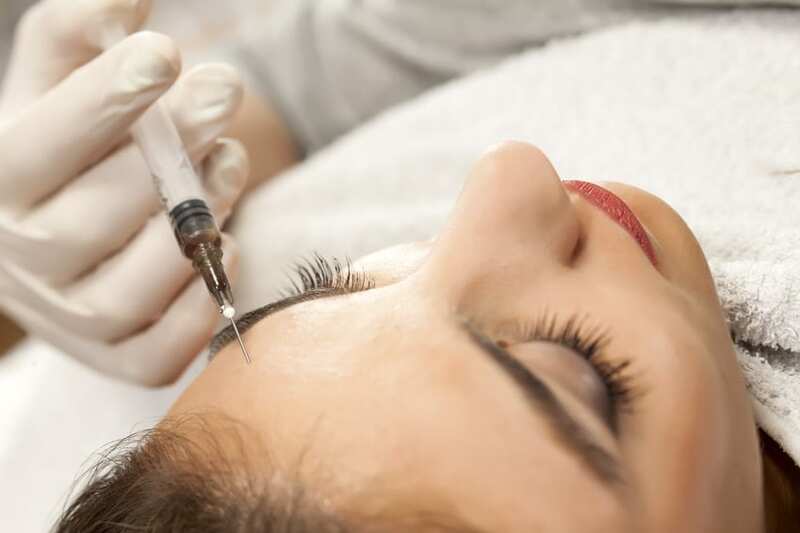 The ‘LIFT FILL’ injection technique allows us to achieve a ‘tensing’ effect whilst respecting the natural curves and volumes of the face, thus delaying the need for surgical intervention. 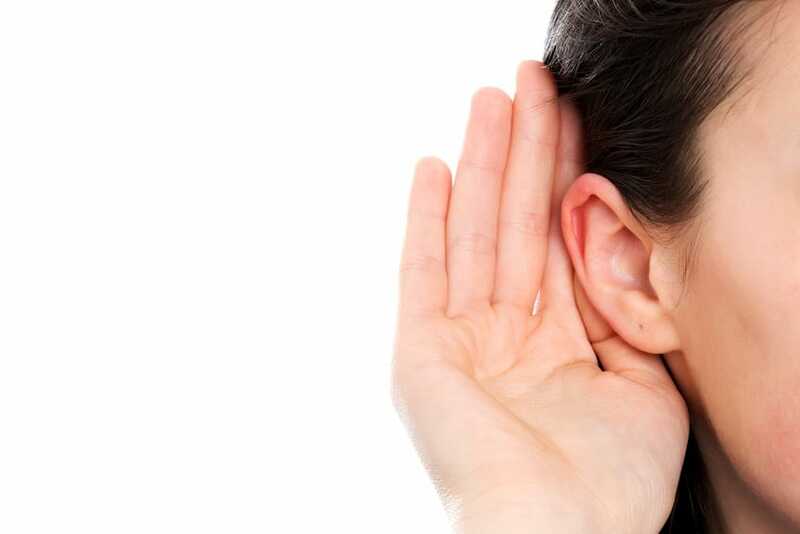 It can be performed on a specific, delicate area, or as a wider treatment. 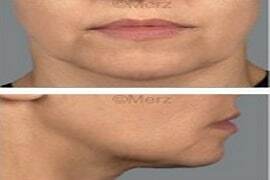 After having increased the malar area fat by injection, injections are made to the oval of the face. 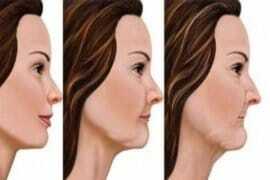 In traditional surgery implants would be made to the jaw, whilst the medical route replaces these implants with hyaluronic acid with injections following traction vectors in order to give the face a V-shape appearance. 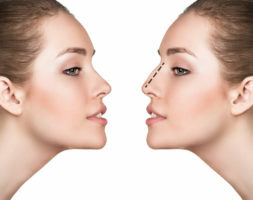 The use of lifting thread is a non-surgical face lift technique for sagging tissues. The placing of mesothreads or tensile threads allows the repositioning of facial tissue and volume without scalpels or scarring. For a result, it is necessary to select the patients. 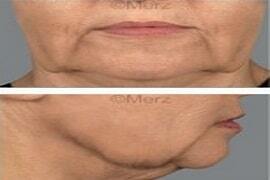 If the appearance of the jowls is caused only by sagging skin, threads are a good indication. If bone re-absorption and fat ptosis are associated, threads are not the technique to use. Ultrasounds converge at a single point, it reduces the fat volume by 'burning' the fat. 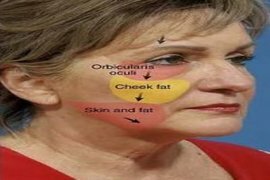 The best indication is the jowl caused only by the fat ptosis. The results remain inconsistent (and the expensive treatment). 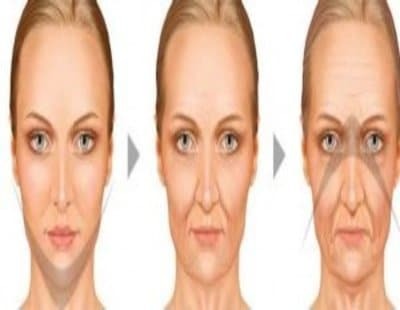 In my opinion we must not forget that the purpose of each treatment is to beautify you, then you will be more beautiful if we lift this fat rather than if we burn it. Doctor Romano gave back symmetry to my face and tightened it, a burst of youth! Doctor Romano perfectly understood what I wanted. She kept her promises! The jowls were weighing on my face. Very happy with the result. Highly recommended. Doctor Romano is attentive to her patients. I consulted for a slackness in the oval of the face and the jowls. I am very satisfied with the result. It was my first experience, I was anxious. Doctor Romano reassured me and worked gently with a great professionalism! My face retightened, I adore the result.